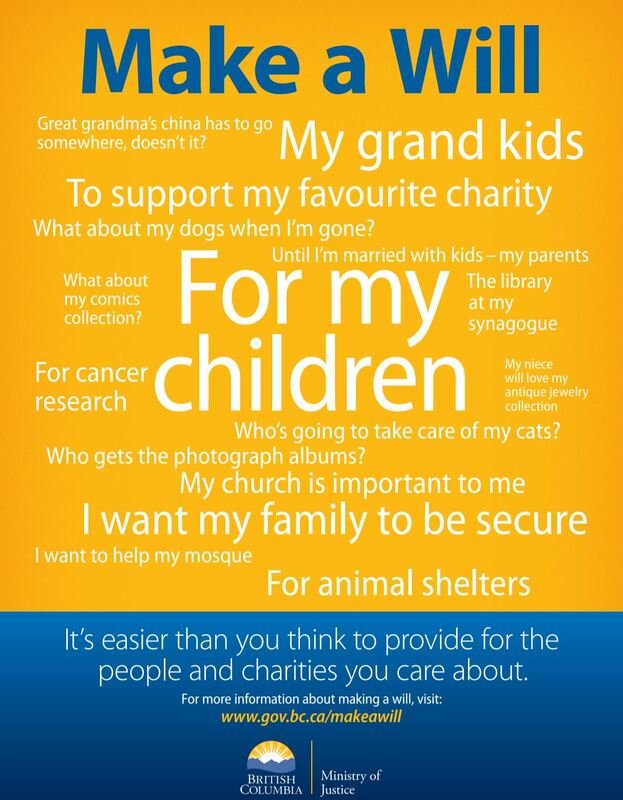 This week is ‘Make a Will week’ in BC – a week designed to encourage the 45% of British Columbians who currently do not have will, to make one. Whether or not you already have a will, the easiest way to include a gift in your will is to get help from a professional advisor experienced in preparing wills. Here are a few steps to consider when getting started. Consult a trusted advisor to get the right expertise and advice. An advisor can explain your giving options and help you choose the gift that is right for you. Search for an advisor who is a LEAVE A LEGACY Partner. You have the use of your assets during your lifetime. You can ensure that your gift is meaningful to you. Your estate will receive a beneficial tax receipt. Your gift can be altered at any time should your circumstances change.